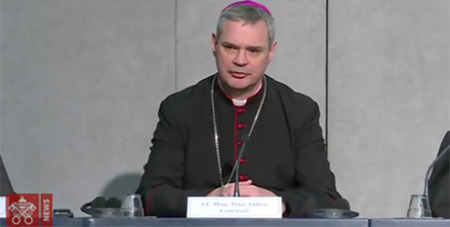 Melbourne Archbishop Peter A. Comensoli says the final document from the Synod of Bishops on youth left out a firm apology for the abuse crisis because not all areas of the world understand the severity of the issue. Source: Crux. “Certain parts of the Church in the world are [just] coming to understand what it means to take a position of zero tolerance, and the Synod is a reflection of the Church throughout the world,” Archbishop Comensoli told Crux. “It’s not just Australia, it’s not just the United States, it’s not just Germany, or Chile or where the manifestations of abuse have been most intensely felt,” so the final document had to take this into consideration, he said. For Archbishop Comensoli, a universal understanding of just how widespread sexual abuse is in the Church and the scarring effect that it has on victims is still a work in progress. On the drafting process of the final document, Archbishop Comensoli also debunked rumours that a text had already been “floating around” before the committee even began its work.